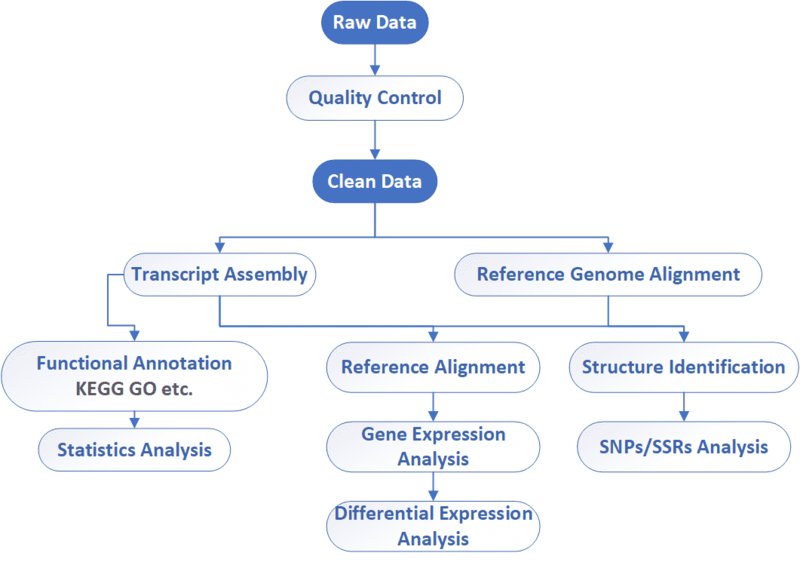 CD Genomics has extensive experience in offering Iso-Seq service by producing full-length transcripts without assembly. Strict quality control following every procedure is executed to ensure the comprehensive and accurate results. In eukaryotic organisms, a single gene may encode a surprising number of proteins after alternatively spliced, each with a distinct biological function. There are known human genes that have very different functions depending on which splice variant is expressed. With alternative splicing so critical to genome function. Short-read RNA-Seq works by physically shearing transcript isoforms into smaller pieces and reassembling, leaving possibilities for mis-assembly or incomplete capture of the full diversity of isoforms from genes of interest. It’s important to capture full-length transcripts. By taking advantage of PacBio SMRT long reads sequencing technology, the isoform sequencing (Iso-Seq) can easily cover complete transcript from the 5′ end to the 3′-poly A tail without the need of fragmentation to obtain full-length cDNA sequences, which is useful to identify new transcripts and new introns, thus accurately identifying isoforms, alternative splicing sites, fusion gene expression, and allelic expression. Comparing with Illumina platform, PacBio analysis can easily to detect very long polycistronic RNA molecules (called complex transcripts), and reveale a wide variety of novel transcriptional overlaps between adjacent and distant genes situated in parallel. It is helpful to raise the possibility for study a genome-wide network exerting joint control on gene expression and replication. Differentially expressed transcriptome KEGG enrichment analysis. Long-read sequencing allows the straightforward identification of alternatively transcribed or processed transcripts, polycistronic transcription units, and other long cDNA sequences. With expertise and dedication, advanced PacBio SMRT platform and services from CD Genomics will be your best companion in Iso-Seq. Please contact us for more information and a detailed quote.